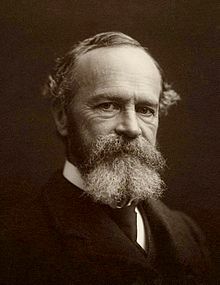 We are pleased to excerpt William James’ lectures on mysticism from his book THE VARIETIES OF RELIGIOUS EXPERIENCE: A STUDY IN HUMAN NATURE. The original lectures are a delight to read. We can capture but a fraction of their spirit here, however we hope this post will compel you to read the original. James (1842-1910) was well-known as a philosopher, psychologist, and physiologist. He was an astute observer of experience, as well as an incisive thinker. He is often thought of as the father of modern psychology. Certain passages below resonate intriguingly with Thomas Metzinger’s “Out-of-body experiences as the origin of the concept of a “Soul’” excerpted previously. One may say truly, I think, that personal religious experience has its root and centre in mystical states of consciousness. ... How do we part off mystical states from other states? ... [I] propose to you four marks which, when an experience has them, may justify us in calling it mystical... .
1 Ineffability. ...The subject of it immediately says that it defies expression… . [I]ts quality must be directly experienced… . [M]ystical states are more like states of feeling than like states of intellect. No one can make clear to another who has never had a certain feeling, in what the quality or worth of it consists. 2. Noetic quality. -- Although so similar to states of feeling, mystical states seem to those who experience them to be also states of knowledge. They are states of insight into depths of truth unplumbed by the discursive intellect. ... [A]s a rule they carry with them a curious sense of authority for after-time. 3. Transiency. -- Mystical states cannot be sustained for long. ...Often, when faded, their quality can but imperfectly be reproduced in memory; but when they recur it is recognized; and from one recurrence to another it is susceptible of continuous development in what is felt as inner richness and importance. 4. Passivity. -- Although the oncoming of mystical states may be facilitated by preliminary voluntary operations, as by fixing the attention, or going through certain bodily performances, or in other ways…; yet when the characteristic sort of consciousness once has set in, the mystic feels as if his own will were in abeyance, and indeed sometimes as if he were grasped and held by a superior power. … Some memory of their content always remains, and a profound sense of their importance. They modify the inner life of the subject between the times of their recurrence. Our next step should be to gain acquaintance with some typical examples. … [P]henomena are best understood when placed within their series, studied in their germ and in their over-ripe decay... . The simplest rudiment of mystical experience would seem to be that deepened sense of the significance of a maxim or formula which occasionally sweeps over one. ... Most of us can remember the strangely moving power of passages in certain poems read when we were young, irrational doorways as they were through which the mystery of fact, the wildness and the pang of life, stole into our hearts and thrilled them. ... We are alive or dead to the eternal inner message of the arts according as we have kept or lost this mystical susceptibility. A more pronounced step forward on the mystical ladder is found in an extremely frequent phenomenon, that sudden feeling, namely, which sometimes sweeps over us, of having "been here before,"
A much more extreme state of mystical consciousness is described by J. A. Symonds; and probably more persons than we suspect could give parallels to it from their own experience. It consisted in a gradual but swiftly progressive obliteration of space, time, sensation, and the multitudinous factors of experience which seem to qualify what we are pleased to call our Self. In proportion as these conditions of ordinary consciousness were subtracted, the sense of an underlying or essential consciousness acquired intensity. At last nothing remained but a pure, absolute, abstract Self. The universe became without form and void of content. But Self persisted, formidable in its vivid keenness, feeling the most poignant doubt about reality, ready, as it seemed, to find existence break as breaks a bubble round about it. [T]he consciousness of God's nearness came to me sometimes. I say God, to describe what is indescribable. ... I felt myself one with the grass, the trees, birds, insects, everything in Nature. I exulted in the mere fact of existence, of being a part of it all -- the drizzling rain, the shadows of the clouds, the tree-trunks, and so on. I was alone upon the seashore as all these thoughts flowed over me, liberating and reconciling; and now again, as once before in distant days in the Alps of Dauphine, I was impelled to kneel down, this time before the illimitable ocean, symbol of the Infinite. I felt that I prayed as I had never prayed before, and knew now what prayer really is: to return from the solitude of individuation into the consciousness of unity with all that is, to kneel down as one that passes away, and to rise up as one imperishable. [F]rom the Autobiography of J. Trev[a]or. For nearly an hour I walked along the road to the 'Cat and Fiddle,' and then returned. On the way back, suddenly, without warning, I felt that I was in Heaven -- an inward state of peace and joy and assurance indescribably intense, accompanied with a sense of being bathed in a warm glow of light, as though the external condition had brought about the internal effect -- a feeling of having passed beyond the body, though the scene around me stood out more clearly and as if nearer to me than before, by reason of the illumination in the midst of which I seemed to be placed. The spiritual life...justifies itself to those who live it; but what can we say to those who do not understand? ... This, at least, we can say, that it is a life whose experiences are proved real to their possessor, because they remain with him when brought closest into contact with the objective realities of life. Dreams cannot stand this test. We have now seen enough of this cosmic or mystic consciousness, as it comes sporadically. We must next pass to its methodical cultivation as an element of the religious life. Hindus, Buddhists, Mohammedans, and Christians all have cultivated it methodically. In India, training in mystical insight has been known from time immemorial under the name of yoga. Yoga means the experimental union of the individual with the divine. It is based on persevering exercise; and the diet, posture, breathing, intellectual concentration, and moral discipline vary slightly in the different systems which teach it. [Quoting] from VIVEKANANDA, Raja Yoga, London, 1896. All the different steps in yoga are intended to bring us scientifically to the superconscious state or Samadhi. ... Just as unconscious work is beneath consciousness, so there is another work which is above consciousness, and which, also, is not accompanied with the feeling of egoism. ... There is no feeling of I, and yet the mind works, desireless, free from restlessness, objectless, bodiless. In the Christian church there have always been mystics. ... The basis of the system is "orison" or meditation, the methodical elevation of the soul towards God. ...The first thing to be aimed at in orison is the mind's detachment from outer sensations, for these interfere with its concentration upon ideal things. In the orison of union the soul is fully awake as regards God, but wholly asleep as regards things of this world and in respect of herself. 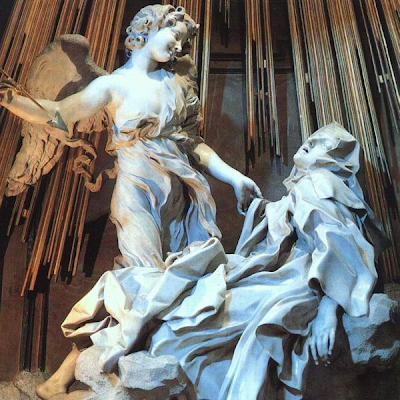 During the short time the union lasts, she is as it were deprived of every feeling.... God establishes himself in the interior of this soul in such a way, that when she returns to herself, it is wholly impossible for her to doubt that she has been in God, and God in her. ...The deliciousness of some of these states seems to be beyond anything known in ordinary consciousness. I confess that it is all a mystery in which I am lost. Do mystical states establish the truth of those theological affections in which the saintly life has its root? ... In spite of their repudiation of articulate self-description, mystical states in general assert a pretty distinct theoretic drift. ... We pass into mystical states from out of ordinary consciousness as from a less into a more, as from a smallness into a vastness, and at the same time as from an unrest to a rest. We feel them as reconciling, unifying states. They appeal to the yes-function more than to the no-function in us. In them the unlimited absorbs the limit. ... In mystic states we both become one with the Absolute and we become aware of our oneness. In Hinduism, in Neoplatonism, in Sufism, in Christian mysticism, in Whitmanism, we find the same recurring note, so that there is about mystical utterances an eternal unanimity which ought to make a critic stop and think... .
Our own more "rational" beliefs are based on evidence exactly similar in nature to that which mystics quote for theirs. Our senses, namely, have assured us of certain states of fact; but mystical experiences are as direct perceptions of fact for those who have them as any sensations ever were for us. The records show that even though the five senses be in abeyance in them, they are absolutely sensational in their epistemological quality, if I may be pardoned the barbarous expression -- that is, they are face to face presentations of what seems immediately to exist. But more remains to be told, for religious mysticism is only one half of mysticism. The other half has no accumulated traditions except those which the text-books on insanity supply. Open any one of these and you will find abundant cases in which "mystical ideas" are cited as characteristic symptoms of enfeebled or deluded states of mind. In delusional insanity, paranoia, as they sometimes call it, we may have a diabolical mysticism, a sort of religious mysticism turned upside down. ... It is evident that from the point of view of their psychological mechanism, the classic mysticism and these lower mysticisms spring from the same mental level, from that great subliminal or transmarginal region of which science is beginning to admit the existence, but of which so little is really known. ... Its value must be ascertained by empirical methods, so long as we are not mystics ourselves. Into spirituality? Then you should watch this video (intro) and share us your thoughts! The intro is mostly about this very question that millions of people ponder What Is The Meaning Of Life? Once you have watched the video if you have any questions, you could just email them to eternalsun1212@gmail.com and they'll be answered in the next video! Thanks for reading this and have a wonderful day!